All Providence homes currently listed for sale in Providence as of 04/25/2019 are shown below. You can change the search criteria at any time by pressing the 'Change Search' button below. If you have any questions or you would like more information about any Providence homes for sale or other Providence real estate, please contact us and one of our knowledgeable Providence REALTORS® would be pleased to assist you. "SURVEY COMPLETED. Brick home, barn and shed on the corner of 1700 S/300 S Providence and Highway 165. In Providence Master Plan as Highway Commercial zone. Prime visibility for Commercial Business with Traffic from Hyrum/Nibley going into Logan with Stop light on the corner of the parcel. Located in the Path of Development-Across from Zions Bank and the new Mountain Ridge Furniture. Providence City water and public sewer are connected to the home as well as natural gas and electricity. This parcel is 7.036 acres. Additional acreage adjacent to this parcel is also for sale. Owner/Agent. No Sellers Disclosures will be provided. Also listed as Land. " "Single-level living, 4 beds, 4 baths, an entryway, a great room with a wood burning fireplace (also plumbed for gas), plenty of gathering rooms, a beautiful main-level master suite, grade A hurricane glass on all windows, lovely tiled floors, a finished daylight basement, a natural gas generator, a huge mud room with plenty of storage, and a 3 car garage. Upstairs is a chef's dream-come-true kitchen with custom cabinetry, granite countertops, separate double ovens, 2 cook tops (one glass, the other a 2-burner electric stove), an oversized pot rack and a work-pantry complete with power outlets. There's also a second full kitchen in the basement apartment! Outdoor living is also top-of-the-line with amazing vies, full landscaping wired for nighttime lighting, a gazebo (with sunshades for the day and wired for lights and music at night), a covered patio and a garden shed--all of which is set on a .36 acre lot on a peaceful cul-de-sac street. Square footage figures are provided as a courtesy estimate only and were obtain from country records. Buyer to verify all information." "Custom executive home nestled on the Providence bench. Custom double-height vaulted ceilings, intercom, Sonos sound system, hardwood floors throughout 1st floor, granite counter tops & two fireplaces. 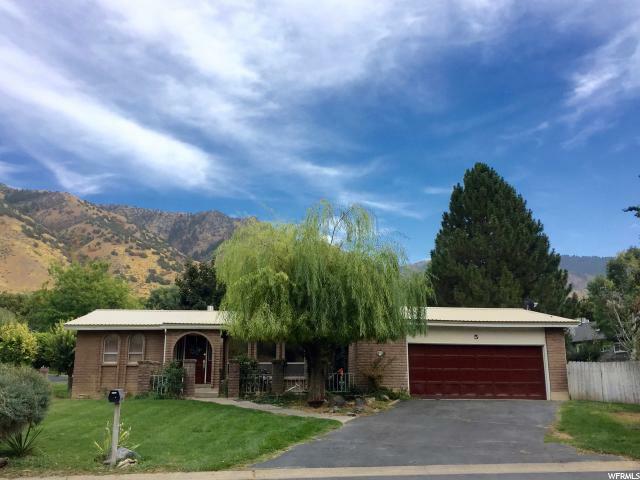 Meticulously landscaped yard with mountain & valley views from all three levels of this charming home." 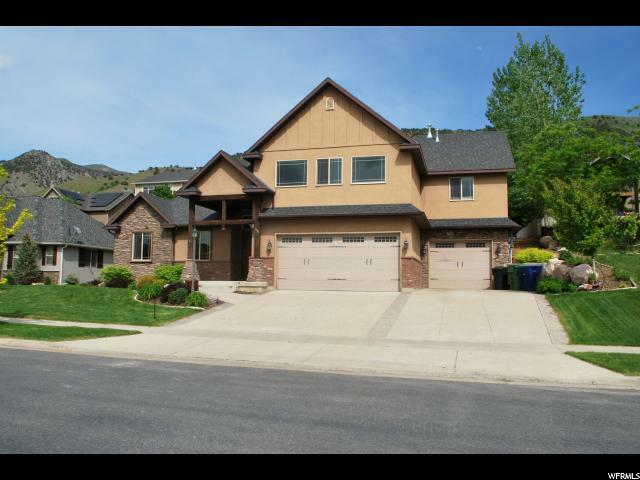 "Imagine yourself living in this splendid 6 bed, 4 bath, spacious home with main floor living. Featuring open floor plan, vaulted ceilings, formal dining, formal living/office, gourmet kitchen, custom cabinets and built-ins, beautiful hardwood floors and fireplace, private deck off master bedroom, outdoor grill and open patio. Walk out your daylight basement onto 2nd patio for a soak in your hot tub, or stay in and enjoy watching a movie with surround sound by the gas log stove. Also includes 2nd laundry craft room, plumbing in place for 2nd kitchen, and ample storage. Secluded terraced backyard with waterfall perfect for entertaining a crow or romantic dinner for two, while enjoying beautiful flowers and landscaping. Savor fresh vegetables and fruits straight from your garden and greenhouse, mature fruit trees, mini grape vineyard, and berry vines. Roomy 2-car attached garage leads into mudroom off kitchen. 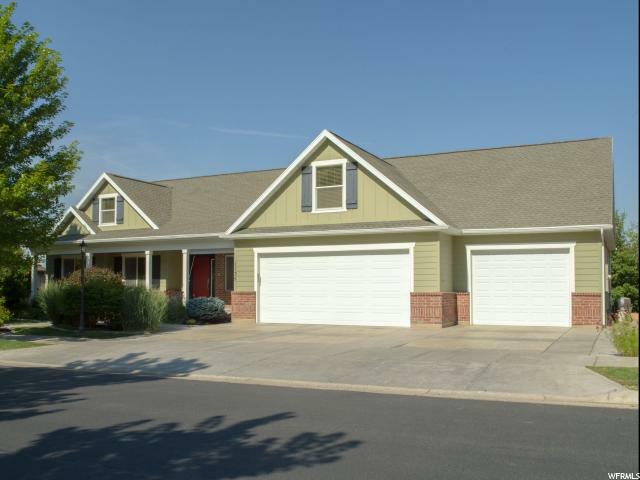 Large 2-car detached garage features over-sized door, workbench, and even more storage. A true must-see!" "Who says you can't have it all? Wide open spaces, over 4000 sq ft of livable sq footage, parking for a fleet of cars and a workshop that will make your friends and neighbors green with envy. Speaking of green, the lush yard is a nature lovers dream come true. A perfect balance of lawn, flower beds and mature trees invite the soul to recharge and relax in your own sanctuary, courtesy of Mother Nature. In addition to the .78 acres you'll call home, the generous lot sizes of your neighbors gives you peace of mind you will retain the majestic views and green space into the foreseeable future and an added feeling of spacious country living without the added distance from shopping, dining and the economic pulse of the valley . The spaciousness continues inside with over 4000 square feet of living area in the house. The kitchen invites you to explore your culinary genius with top-notch appliances, all while entertaining family and friends in the adjacent living spaces or formal dining area. Well-appointed bedrooms allow everyone in the family a personal retreat and if the time comes to bring the parents home to stay, the walk-out basement would make a spectacular mother-in-law apartment. Check out the 3D tour and see for yourself. Buyer to verify all information." "Don't miss this home on the Providence bench. Spacious home with room to grow in the unfinished basement. Gourmet kitchen with a huge hidden pantry and granite counter tops. Master bath with separate shower and jetted tub. Solid wood doors and custom wood finish work. Fully landscaped with custom water fall and beautiful rock garden with a variety of colorful flowers. Huge 3 car garage. Before you think about building you need to check this one out. " "Custom-Built Home! 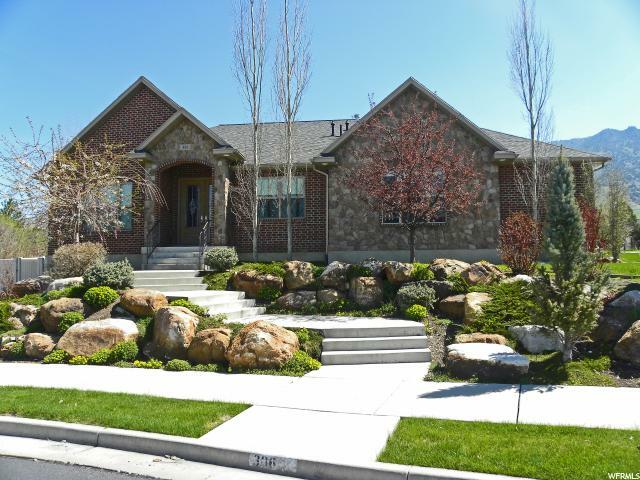 Located in Providence Highlands Subdivision High Up On Top of The Beautiful East Bench. Surrounded by Mountains Views and Valley Views. Features The Finest Main Floor Living Space with Custom-Heightened Atrium in Den/Office and Beautiful French Doors. 9 Foot Ceilings Throughout. Great Room with Gas Fireplace Custom Mantel, Beautiful Chocolate Hardwood Flooring that Seamlessly Flows into the Kitchen. Perfect for Entertaining with Easy Access to the Covered Deck and Fantastic Yard with Custom Landscaping. Kitchen Features Island Bar and Nice Deep Sink, Custom Cabinets, Granite Counter Tops and High-end Appliances. 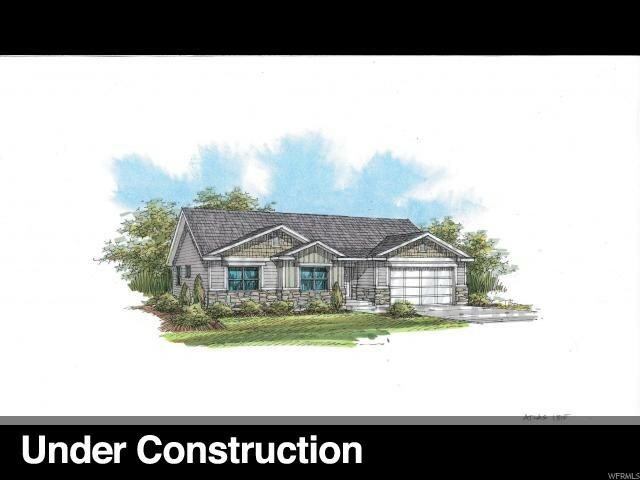 Main Floor Master Suite with Classic Barn Door to Master Bath with Separate Tub/Shower and Walk-in Closet. Main Floor Laundry Room. Huge 3 Car Garage. Tons of Possibilities in Basement. MUST SEE!" "Beautiful New Home For Sale! 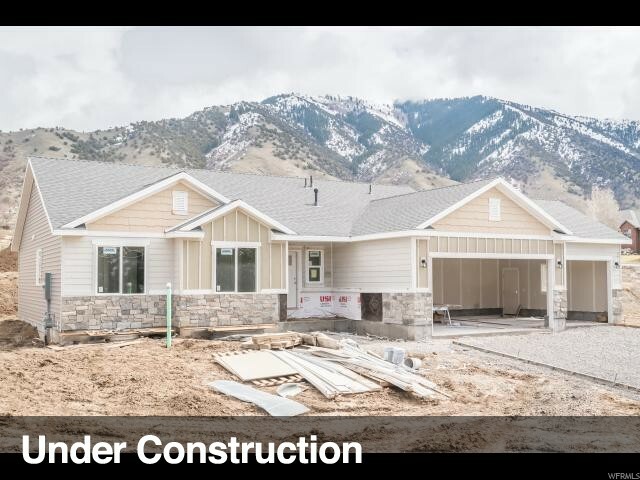 This gorgeous home is being build by Sierra Homes and features a large master bedroom with oversized master bath and walk in closet, large great room with open floor plan and dining room nook, spacious 3 car garage, and is located in a beautiful subdivision with amazing views! Several other floor plans available. Call today for more info!" 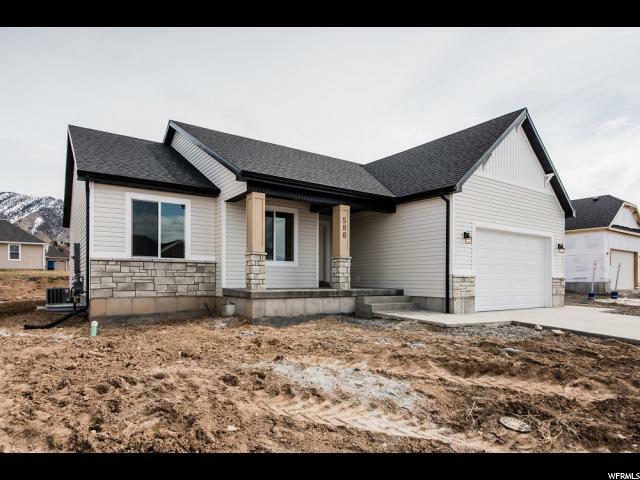 "Beautiful New Construction Home by Sierra Homes! 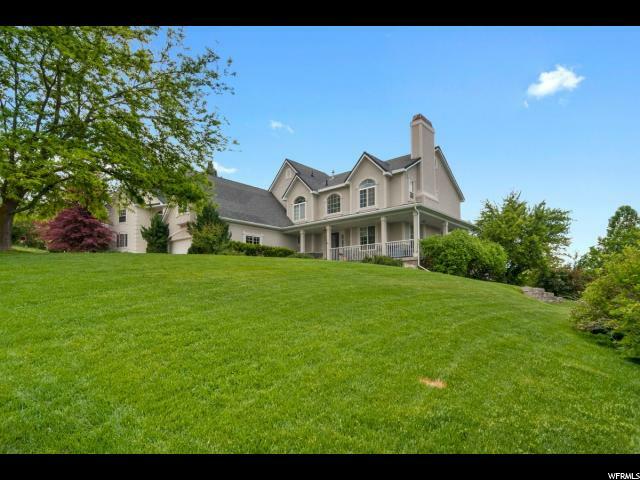 This home features a beautiful open floor plan, large kitchen with granite countertops, .48 acre lot, 3 car garage, large master suite with luxury master bath and oversize walk in closet, coffered ceilings and much more! Call today for more information!" "Beautiful wrap around porch and back deck. Fireplaces in both main floor living rooms. Large bonus room. Plentiful regular and cold storage spaces. New modern laminate flooring and custom finishes throughout. Master suite with separate jetted tub and shower, and double sinks. Updated granite kitchen counter with tile black splash and oak cabinets. Formal dining area. Mature trees with apple tree. Breathtaking mountain and valley views. 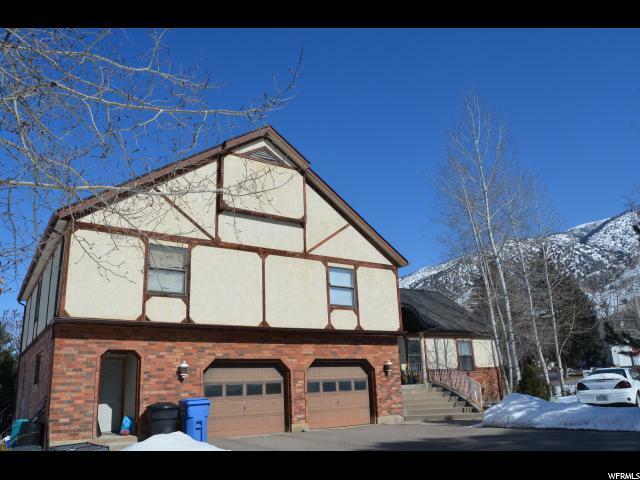 Quiet, friendly neighborhood with mountain trail access. Square footage figures are provided as a courtesy estimate only and were obtained from the county. Buyer is advised to obtain an independent measurement." "COMPLETELY REMODELED! 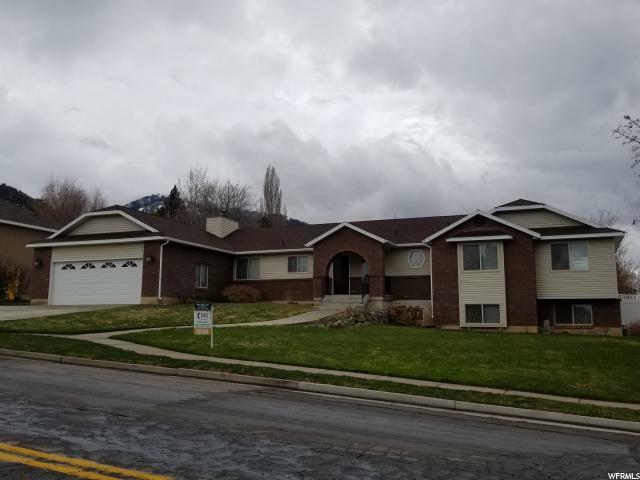 Remodeled in 2013: new kitchen with granite counter tops and new appliances, all remodeled bathrooms, enlarged master, all new windows, new shed, garage sheetrocked and new garage door added, and all new landscape! Over $150,000 was put into this house just 6 years ago! This is a must see in a beautiful and desired neighborhood! " "We are just starting this beauty. This high end home is being built with features you would not believe at this price. Spacious 12 ft. ceiling in the entry invites everyone into this home. Granite countertops, white cabinets, a gas range, a clean white back splash, the kitchen will be a room you will love spending time in. The home features great entertaining space in the large living with a stunning fireplace and dining rooms all open into the kitchen. The Master Suite features a large walk in closet and private bathroom with a soaker tub, walk in shower, and secluded water closet. To top things off enjoy a beautiful view and entertain friends and family off of the covered deck. If you act quickly, some of the color selections could be change to your personal tastes. Square footage has been determined off of floor plans. " "Check out what is being built with beautiful finishes! This high end home is being built with features you would not believe at this price. Quartz countertops, white cabinets, a gas range, a clean white back splash, the kitchen will be a room you will love spending time in. The home features great entertaining space in the large living with a stunning fireplace and dining rooms all open into the kitchen. The Master Suite features a tray ceiling, a large walk in closet and private bathroom with a soaker tub, walk in shower, and secluded water closet. Also enjoy entertaining friends and family on the covered patio. If you act quickly, some of the color selections could be change to your personal tastes. Square footage taken off of floor plans. " 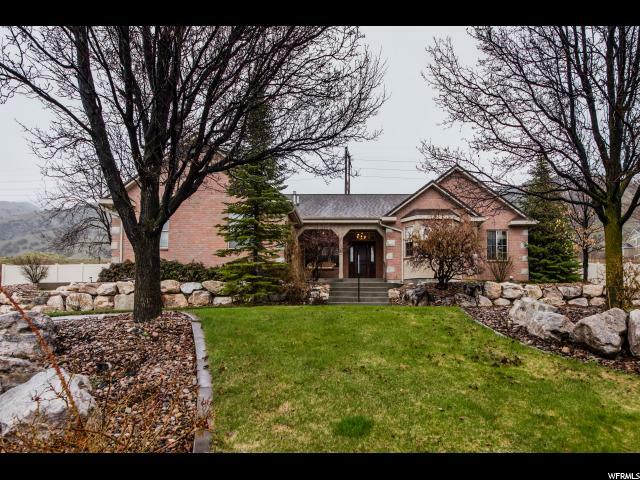 "Large home on a 13,000 sq ft lot. over 800 sq ft of space that is unfinished and not included in the sq ft of listing. Mother in law setup. Oversized garage and shop next to the garage. Sq ft figures are provided as a courtesy estimate only and were obtained from prior listing and county records . Buyer is advised to obtain an independent measurement." "Gorgeous and beautiful home located in Providence Hillcrest Subdivision up on the beautiful east bench. Surrounded by mountains and valley views. 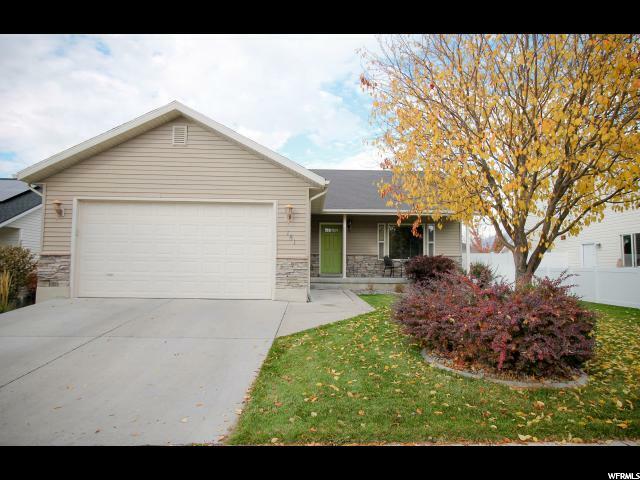 Home is finished with 4 bedrooms 3 baths, granite, hardwood/tile floors. Kitchen has plenty of space for entertaining. Island bar, deep sink, amazing colors that make this house one you need to get in. Sprinklers and lawn were put in last year. Has a 3-car garage for all your toys. Close to Providence Canyon and friendly neighborhood. There is room to grow in the basement and to finish the way you like. Make your appointment today." 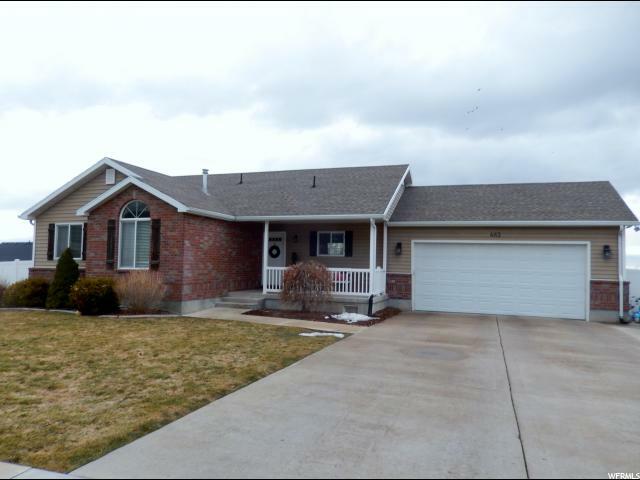 "Well maintained home in desirable Providence bench neighborhood. Enjoy a fully landscaped yard, with raised vegetable garden, and spectacular North West and East views. 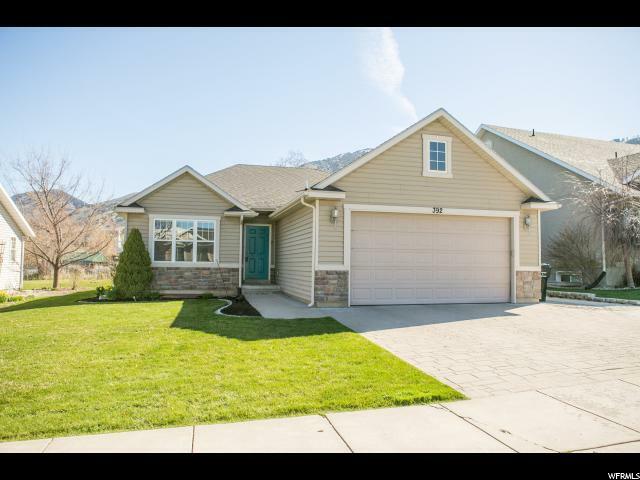 This home has been cared for and you will hard pressed to find any deferred maintenance. The roof was replaced in 2017. The kitchen and bathroom counter tops were all upgraded to Corian and granite. Don't miss this well priced functional home. Move-in ready. Square footage is provided as a courtesy from a prior listing and county records. Buyer is advised to obtain their own measurement." "Click the 'tour' button above for a virtual 3D tour of this well maintained home in highly desired Providence neighborhood. Earth- friendly solar panels are included at no extra cost and provide low power bills. Great location for convenient shopping, parks, schools, etc. Second kitchen in basement is perfect for summer canning, entertaining large groups or guests. First floor has 3 bedrooms, 2 baths with great room/dining area, main kitchen, and laundry room. Basement is finished with a full bath, living area and 2nd kitchen. Basement also includes multi-purpose room and equipment/storage area. Outdoor features are: 2 large patios, shade trees, small gardens plots, and storage shed. Outside the back-sliding doors is a roomy covered deck with a great view of the Wellsville Mountains. " "Immaculate home that has it all! Tastefully updated throughout in 2016, you will love the open floor plan, the gorgeous kitchens, and the views from every angle. 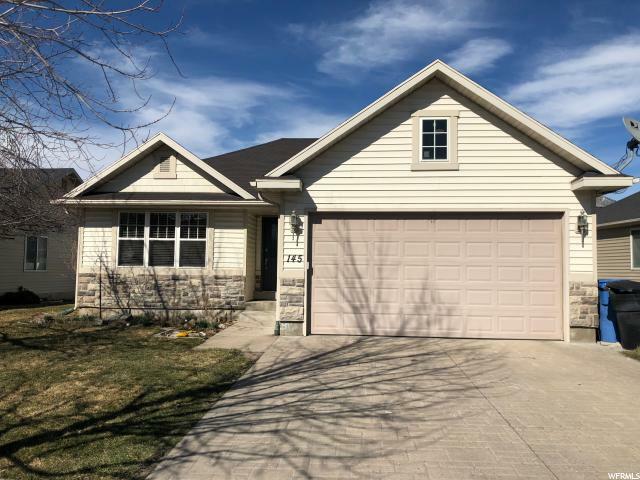 New carpet, paint, molding and trim, even two new water heaters - this home offers a fully finished basement that walks out into the fully fenced back yard. Enjoy the views of the mountains from your deck OR patio. Wonderfully landscaped yard includes extra lighting throughout the yard to make your home a Christmas Wonderland. 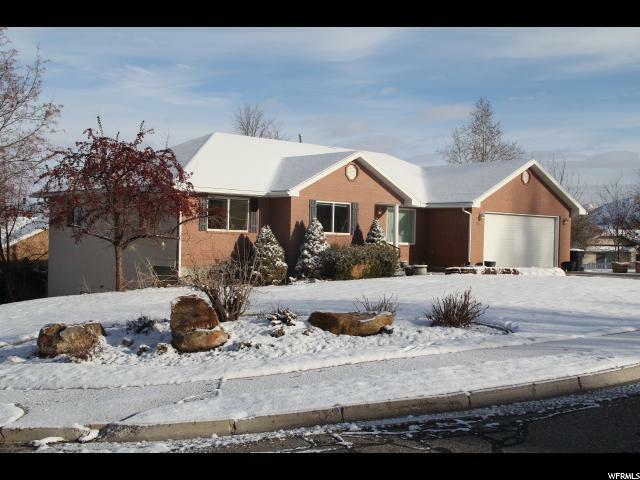 The custom, well built home has extended RV parking, lots of storage, and has been very well cared for. And have I mentioned the views?!? This is a must see and won't last long. Call for your private tour today." 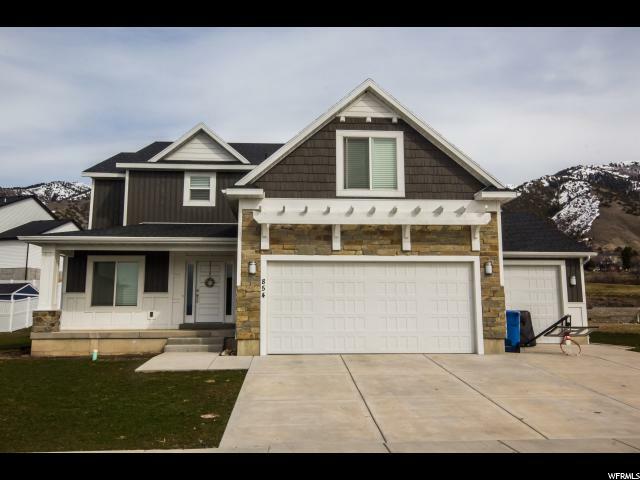 "Brand New, recently completed home with upgrades and stunning finishes! This is a must see, priced to sell quickly. Complete with Smart Home Automation, Quartz counter tops, stunning fireplace, and large master suite. Builder offers a home warranty with purchase. Unfinished basement leaves excellent room to grow for space and equity! 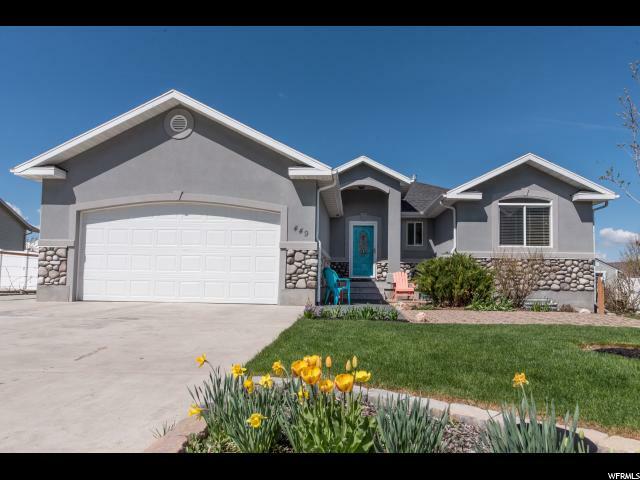 You wont want to miss this beautiful home! Call your agent today to see it in person! " "This naturally bright & shining clean home is ready for its new owner! It has a smart & functional layout with single-level living, all new carpet, fresh paint, vaulted ceilings, brand new LVP flooring, an open kitchen with solid surface counters & a sizeable island/breakfast bar, a light-filled family room upstairs as well as a huge family room downstairs, a main floor master suite, large bedrooms for everyone, & main level laundry. The yard is big & feels even bigger because there are no back neighbors. Enjoy the mountain scene from the patio or by the fire pit! This location is wonderfully convenient. This house won't last long, so call today to schedule your showing! (Square footage figures are provided as a courtesy estimate only & were obtained from county records. Buyer to verify all information.)" 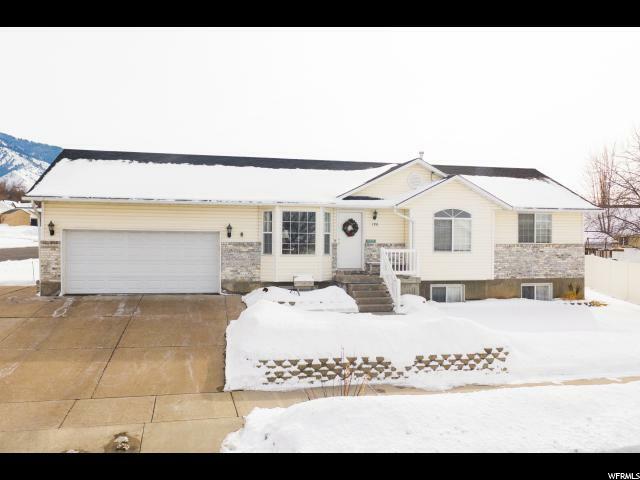 "Nestled in Brookside Village this 5 bedroom, 3 bathroom rambler will be sure to please. The master bedroom features a walk in closet & master bath w/jetted tub The kitchen has knotty alder cabinets w/ tiled backsplash & brand new dishwasher & microwave. Oversized family/theater room with paradime surround sound and wet bar are great for entertaining. Upgraded bathroom with granite, travertine shower with euroglass will surely please. You will notice the new carpet and paint throughout the home. Fully fenced backyard with garden." "Beautiful home in an amazing neighborhood! You will love the great floor plan, meticulously cared for, large bedrooms, large amounts of storage and so much more. Call today to see this beautiful home yourself!!" 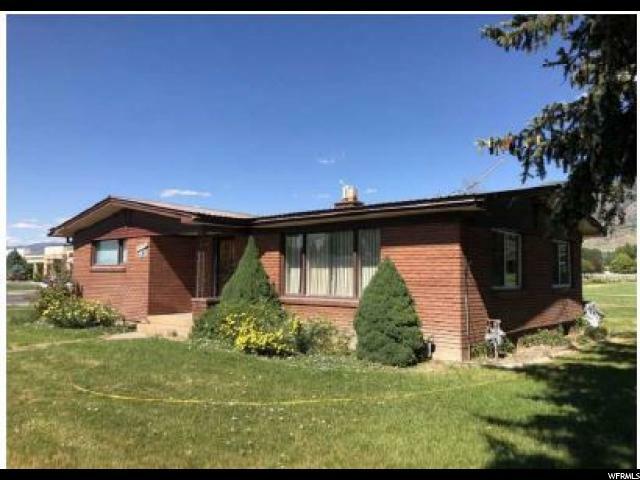 "Enjoy a great layout with large gathering areas, vaulted ceilings, & hardwood flooring in the kitchen/dining. Huge family room in basement with built in's. The charming backyard with mature trees may be small but you'll notice straight off how very private it is. This location is prime-- close to schools, a neighborhood park, & everything else in Providence and so close to Logan. Schedule your showing today! (Square footage figures are provided as a courtesy estimate only & were obtained from county records. Buyer to verify all information.)" "This home is located on a ideal corner lot on the bench in the City of Providence. 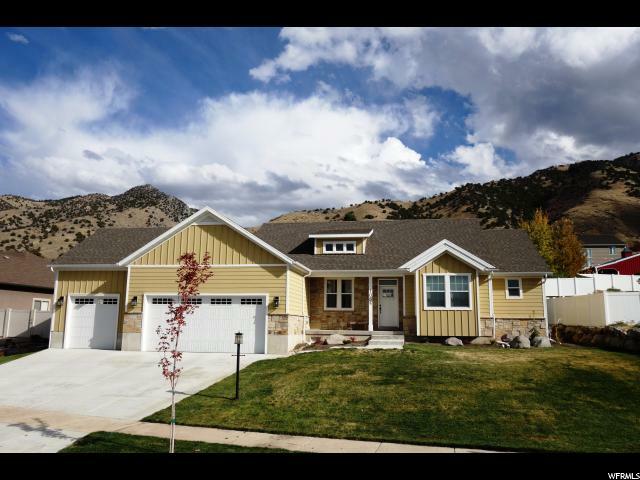 A 5 bedroom, 3 bath rambler is perfect for families and friends! It has a fully-fenced back yard, garden space, full sprinklers system, and mature trees. The big master bedroom will lead you to the updated master bathroom where inside you will see a nice jetted tub to enjoy and relax. The living and dining area have the perfect size for any occasion. The house also has a metal roof, a fire place in the basement and main level, walk-in storage room, and nice closets throughout. Come see it today! !Square footage figures are provided as a courtesy estimate only and were obtained from the county. Buyer is advised to obtain an independent measurement."